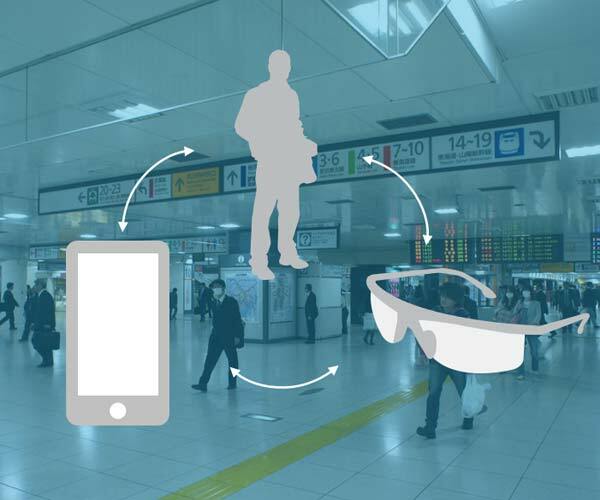 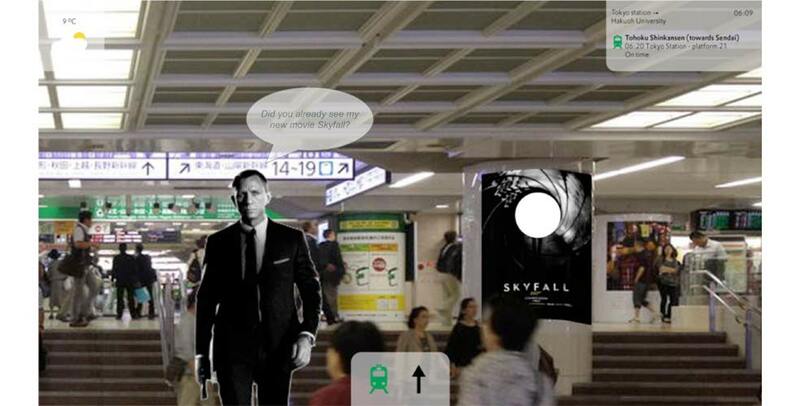 For the Tokyo railway station the NorthernLight team made a customer journey for a businessman and a tourist wearing a head mounted display. 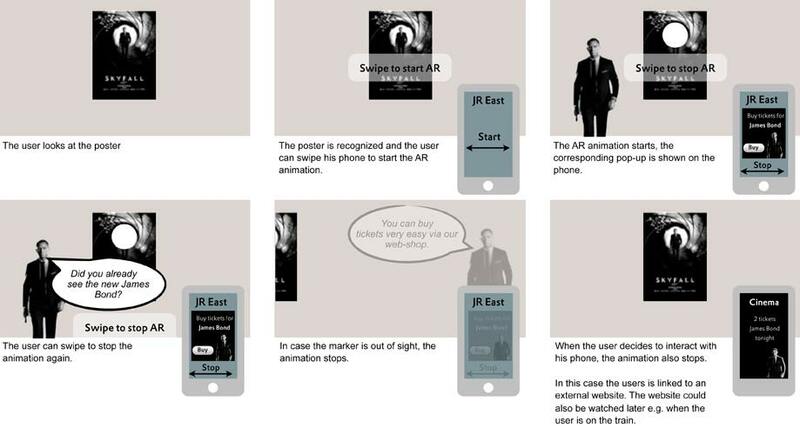 During this customer journey we’ve investigated what functions would be useful to have and what functions would be fun to have. 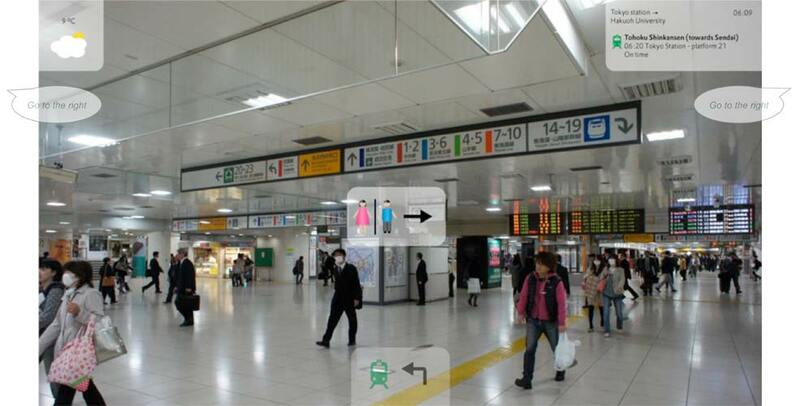 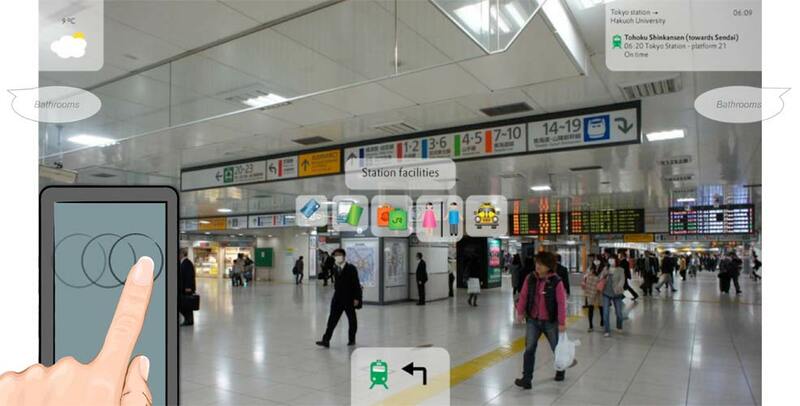 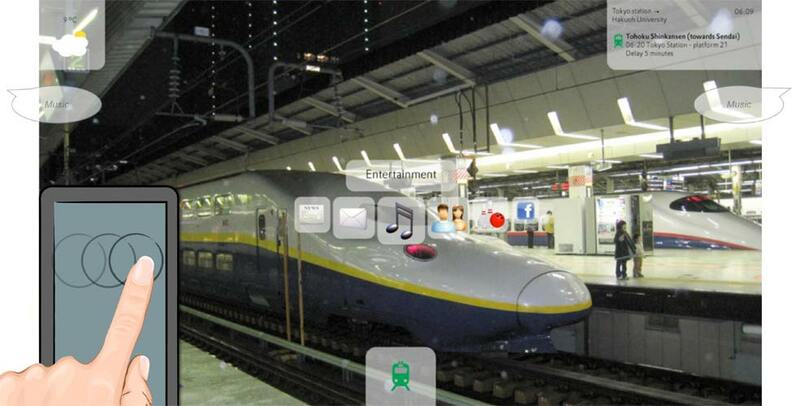 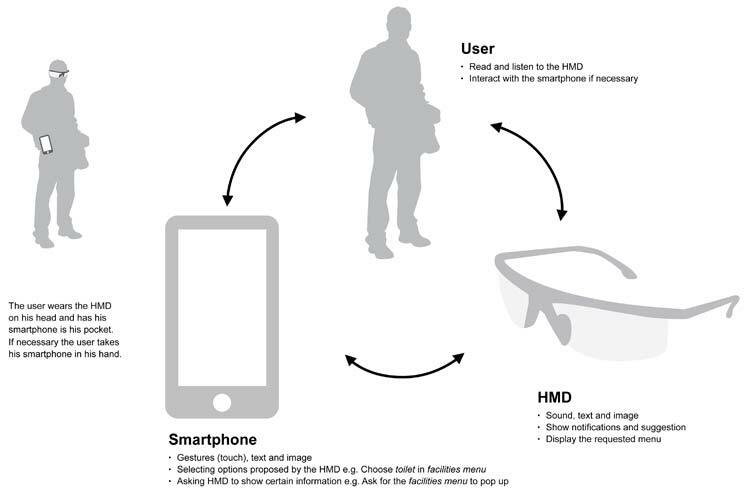 A beautiful feature with a head mounted display is augmented reality in combination with image recognition. 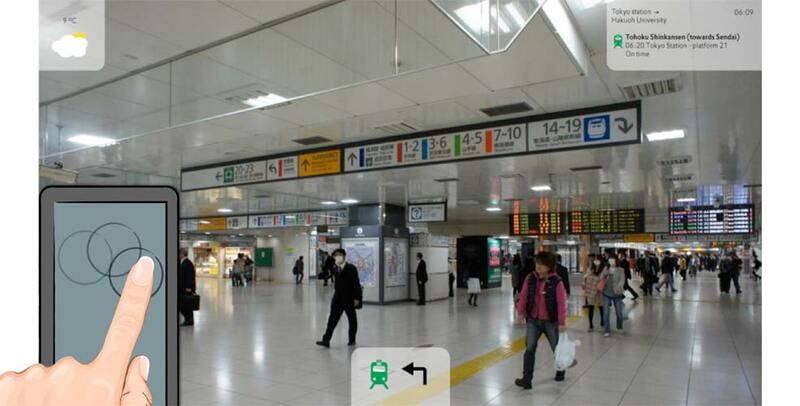 With these two posters can come to life, information signs can be automatically translated, way-finding can be mapped on the floors and much much more.